Orders due Tuesday April 23, 2019. Pick-up Thursday May 9, 2019. Return forms (with payment) to The Office (114–attention Ms. Agnew). Please make cheques payable to “Burnaby North Secondary School”. The Drama Programme is running a Spring Plant Fundraiser, just in time for Mother’s Day! 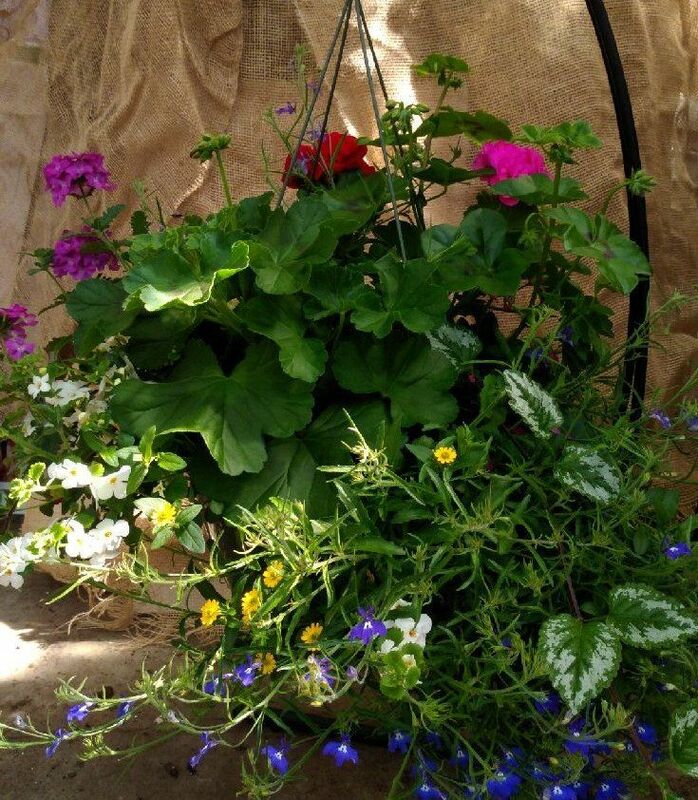 Little Mountain Greenhouses is a family run nursery out of Chilliwack whose hanging baskets grace cities like Chilliwack, Agassiz, and Harrison each year. 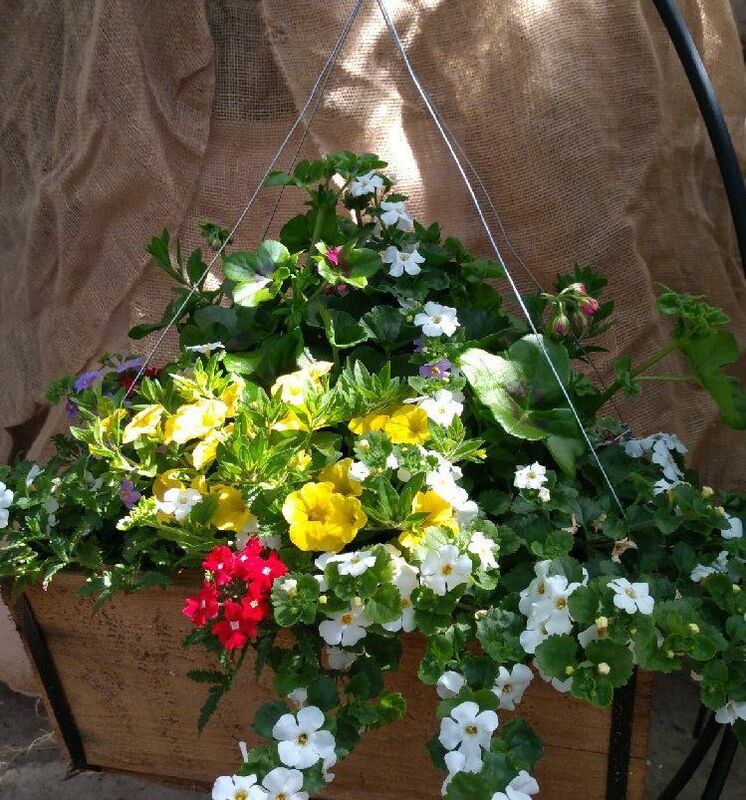 This year the BNS Drama program is offering a selection of lovely planters and hanging baskets that are perfect for Spring, all you need to decide is which kind to get. If you’re a gardener (or know one), you can also order from a number of popular bedding plants, all of which are suitable for experienced or beginning gardeners. Surprise your mom or someone else special in your life with a gift that bloom with the season. Orders are Due on Tuesday April 23 and the orders will be delivered to the school for May 9, just in time for Mothers’ Day on May 12. Customers must pick-up their orders (no delivery). 13″ (Sun) Mixed Hanging Basket–$40–This hanging basket has a colourful combination of assorted (annual) plants that do well in the sun. The plants prefer full sun, but will still bloom in partial sun locations. Water every 1-3 days, depending on the weather/heat. 14″ (Sun) Mixed Cedar Hanging Basket–$50–This hanging basket has a colourful combination of assorted (annual) plants that do well in the sun in a rectangular, cedar (wood) basket. The plants prefer full sun, but will still bloom in partial sun locations. Water every 1-3 days, depending on the weather/heat. 14″ (Sun) Patio Planter–$40–This planter has a colourful combination of (annual) plants. The plants prefer full sun, but will still bloom in partial sun locations. Water every 1-3 days, depending on the weather/heat. 12″ Herb Planter–$20–This planter has a combination of culinary herbs which may include Parsley, Chives, Cilantro, Basil. These herbs prefer full sun. Water every 1-3 days, depending on the weather/heat. 4.5″ pot Zonal Geraniums– $40 for 10 pots (mix and match)–Select which number of each colour you wish to receive in each pack: Red, Pink, White, Coral, Salmon. These plants prefer full sun. Impatiens Mix–Full to partial shade. Thank you for supporting the Drama Programme at Burnaby North!